We do not always need to extract wisdom teeth, but if they erupt (come in) only partially, come in at an angle, put your other teeth at risk, or cause pain, you may decide to have them out. Taking diagnostic images such as x-rays can tell us if your wisdom teeth are a problem. Many people require wisdom tooth extraction, as in a lot of cases cases wisdom teeth become impacted and quite painful. Wisdom teeth, or third molars, are the teeth located at the very back of your mouth on both sides, top and bottom. Wisdom teeth often come in at odd angles and can cause pain when they only partially erupt. Because of their location, they often become infected or inflamed, and they are prone to decay. Sometimes trying to maintain your wisdom teeth is a losing battle and extraction is a more convenient and healthy option. Although most people have wisdom teeth, some people are born with fewer than four and in some rare cases, none at all. Wisdom teeth can actually create crowding and other occlusal (bite) problems when left unaddressed. 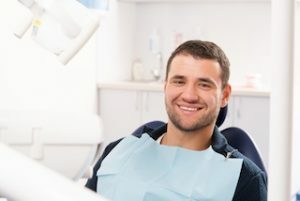 Even if the tooth itself is relatively healthy, its relationship with the adjacent teeth will determine if it is possible to keep your wisdom teeth without creating other dental problems. Numerous young adults go through wisdom teeth surgery in their late teens and early twenties. When you have your wisdom teeth removed in our Edmonton dental office, Dr. Haymour, Postill, or Laschuk will perform your procedure. First, we will make sure you are numb and comfortable. We take the comfort of our patients very seriously and will only proceed when we know we can remove your wisdom teeth without pain. Sometimes it is necessary to make a small incision in order to free your wisdom tooth from your gum tissue. Once we have access to your tooth, we use specifically designed tools to gently loosen your tooth and remove it carefully. In some cases, stitches are necessary in order to promote proper healing. Healing time depends on the difficulty of the surgery as well as how well you care for your surgical sites. Some swelling and pain after your procedure is normal, but you should begin feeling significantly better in 48 to 72 hours. Light bleeding immediately following the surgery is normal and should slow down within a few hours. We will make sure you have all of the information you need to properly care for your surgical sites and manage your pain effectively. If you ever have questions, we encourage you to call us. We are here to help. A consultation is the easiest way to find out if you should keep your wisdom teeth or have them removed. Our dentists are experienced and honest. They will offer you their professional opinions and help you make the best decision for your dental health. Can you remove my wisdom teeth in your office?